In this paper, Neary and Amsler present the ideas and practices of the Occupy movement in terms of its “explicit” pedagogical purpose and intent. In doing so, they formulate Occupy as a prefigurative curricula for the production of a new politics of space and time. 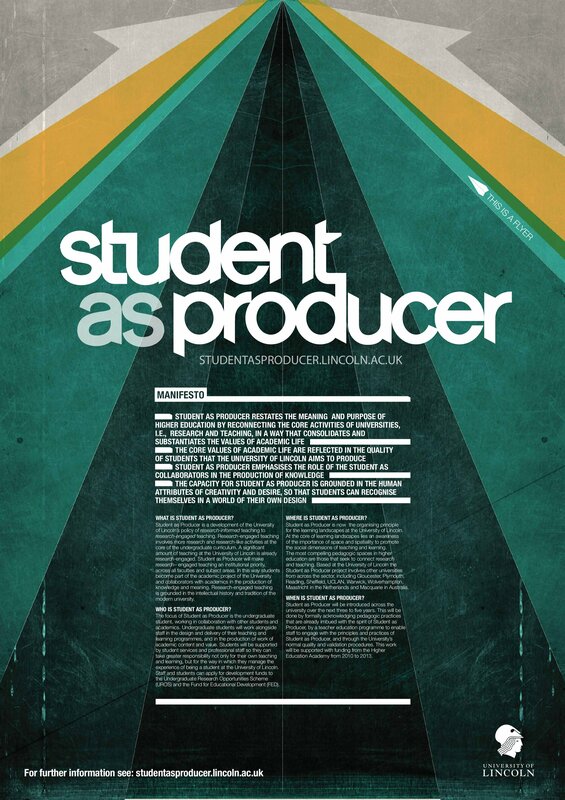 They offer Student as Producer and the Social Science Centre, Lincoln, as existing forms of this critical curricula; projects which by altering “the relationships of the production of educational space and time by producing them otherwise… constitute a direct threat to the logics of capital”. In the context of Neary’s writing about Student as Producer, the article is important for its critique and development of Lefebvre’s argument that the social relations of capitalist production result in the “violence of abstraction”, and the source of this violence lies in the production of value experienced in the real abstraction of exchange value as revealed by Marx. The source of this helplessness can be found in Lefebvre’s privileging of use-value over exchange-value, whereas for Marx, Postone, Neary and Amsler, value should be understood as “value in motion”: “the explosive contradiction between use-value and exchange/abstract value, in a process of commodification dominated by the violence of abstraction.” (Neary & Amsler 2012: 120). Whereas for Lefebvre and other ‘anti-capitalists’ who hypostatise and fetishise one side of the value-form, here the authors argue that surplus-value, “the substance through which the social universe expands” (ibid) can only be “detonated” by over-coming the abstract violence of value through struggle in time and space i.e. “anti-value in motion”. How can education be constituted in this form? The authors provide the two examples of Student as Producer and, in some ways its development, the Social Science Centre, Lincoln. It is against this “turning scholars and intellectuals into abstract labour and turning university work into another abstract space” that is at the core of Neary’s critical project. As the institutional form of the highest achievements of human knowledge, the university is now occupied by capital, subsumed to the logic of value production, a means of production through which labour ‘performs‘ against labour, increasingly alienated from its own product: social knowledge, the general intellect, mass intellectuality. This article, more than any other by Neary, develops the political, pedagogical project of Student as Producer as a critique not only of “what the university has become”, but of how our capacity as social individuals has been occupied by the logic of capital and turned into an alien, anti-social power against humanity. On such terms, what possible institutional form could it take? What does it means to be non-alientated labour, to dissolve the dialectic of both use-value and exchange value, to “create a radical form of space-time by unleashing the social power of humanity locked up in the commodity-form”? (ibid) Is the worker co-operative form anywhere near adequate for such a project? What this article, more than another other by Neary has emphasised, is the need to conceive the neoliberal university as a peculiar expression of commodified space-time. It is an “abstract space” ruled by the logic of abstract labour, whereby the pedagogical relationship between teacher and student is configured for the production of value. An opposing organisational form would seek to overcome the power of these abstractions by, first of all, re-configuring the pedagogical relationship so as to abolish knowledge in its commodity-form (use-value and exchange value). Education “cannot be separated from ‘life’ in institutions.” I take this to mean that all aspects of the institution must be understood to be educational or pedagogical. Cleaning the floors, teaching, installing IT, etc. The division of this labour in time and space is conceived holistically and materially as having a pedagogical purpose for society, for humanity, as a whole. All aspects of this co-operative production of knowledge are understood as appropriations of space-time thereby gradually overcoming the logic capital. 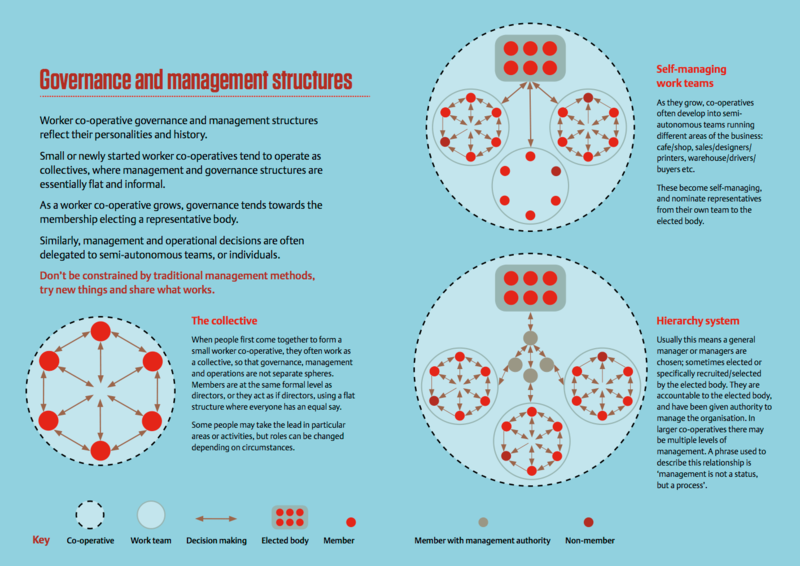 If we “have rather lost control over the form, structure and function of academic knowledge” (Neary & Amsler 2012: 116), worker co-operatives might be a conscious attempt to assert control, constitute an organisational form, and define a different (i.e. democratic, horizontal, consensus-based) social structure for the production of academic knowledge. The SSC is one such experiment. If “the space of the university is mobilised for the purposes of production through its commodification, abstracting, converting into exchange value, fetishizing and modularising” (Lefebvre 2008: 338), how can the worker co-operative form resist these imperatives? Is it simply a “diversion” rather than an “appropriation” of a different space and time? (Egan and Jossa provide a preliminary, though not entirely satisfying, indication). Must a worker co-operative for higher education possess a physical space in time, or can a new space-time be constituted through its legal form and extend to the whole of the “social universe”? If “it’s not about possessing territory. Rather it’s a matter of increasing the density of communes, of circulation, and of solidarities to the point that territory becomes unreadable, opaque to all authority” (The Invisible Committee, quoted in Neary & Amsler 2012: 123-4), can the worker co-operative form be conceived and constituted existentially and ontologically? That is, how can we become the university rather than ‘go to university’? I am a member of the Social Science Centre, Lincoln, and in this term’s Social Science Imagination course, we are focusing on ‘co-operation and education‘. Gary Saunders and I wrote up an account of last week’s class, which we facilitated. Each week, SSC scholars are asked to produce a reflective piece of work (just 300w or so, or a poem, drawing, whatever) so as to think about what they got out of the previous week and then bring it to class to discuss. Below is my 300w or so reflecting on last week’s reading and discussion. The class was based around our reading of the SSC’s ‘about‘ page and the ICA’s ‘Co-operative identity, values and principles‘ statement. It’s been a while since I have read through the general statement about the SSC (FAQ), a document I helped author over three years ago. It was written both as a response to changes in HE at the time (and that continue), as well as setting out in an aspirational way, something we wanted to create. We wrote it in a style that suggested it was already happening, that it was real, when it was in fact only real in our imaginations. In that sense, it was utopian and from the responses we’ve had from people over the years, I think it helped them imagine something different, too. With that in mind, I was pleased to read the current version of the statement 1 and to see how close we have come to realising that utopia. We are not entirely there yet, and over the years, through praxis, we have redefined our objectives, or rather, the emphasis of those objectives has shifted at times, while remaining clear about our motivation and purpose. I still aspire to what we set out in that statement and may always be striving to realise it fully, but the process is as important as the goal and I realise now, after three years, that the SSC is part of me. I cannot imagine not working towards this utopia. 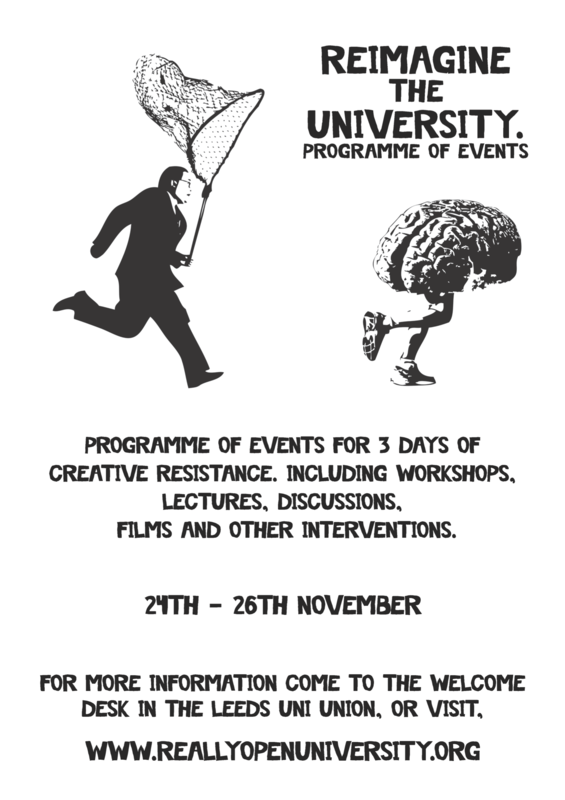 Last week’s class and in fact the whole SSI course this term is intended to regenerate and revitalise this critical, utopian process and project, creating critical space to reflect on, discuss and question our utopian, revolutionary idea of what higher education might be. Could be. The ICA statement was chosen to help initiate this critical, dialogical process. It is a carefully worded statement that unites millions of people around the world in the co-operative movement. We have to read it as such and draw out the key terms and ideas that are embedded in this historical text. It is a set of guidelines, rather than a legal definition. It is a compass, rather than a prison we are bound to. What can we learn from it? How can the themes of autonomy, democracy, solidarity, equality, common ownership, and sustainability, etc. 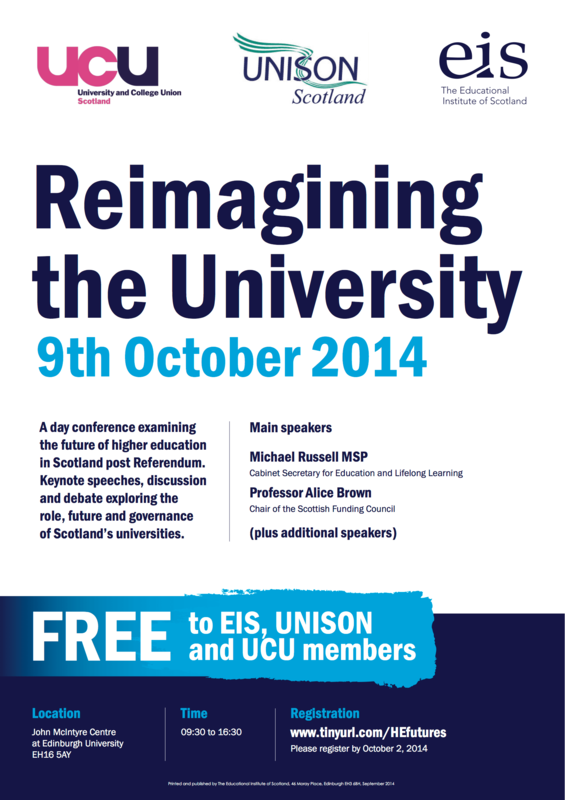 become critical tools that help us reflect on ourselves and our own utopian ideas for co-operative higher education?